Ready to make your mark in the music industry? Well here is your chance. 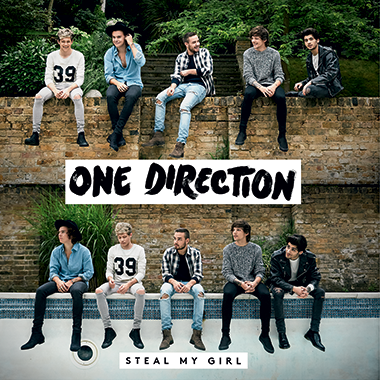 One Direction are inviting remixers and producers from the UK to remix "Steal My Girl" the first single from their upcoming album FOUR, slated for release on November 17th, 2014. This is a huge opportunity to work with the music and vocals of Harry, Niall, Louis, Liam and Zayn. After getting involved in remixing himself, Liam Payne wanted to give other people the opportunity. He, and their guest judges including senior A&R and Radio executives from Sony Music, will select one artist to receive a prize of £1,500. The selected remix will be posted to millions of music fans across the band's official channels and potentially played on radio as an exclusive premiere. To participate in this life changing opportunity use the stems provided to create a high-energy Friday night club track to get dance floors moving everywhere! It’s been five years since the world fell in love with One Direction. Since then, those five boys from the UK and Ireland have gone on to achieve a staggering 94 number ones, more than 46 million records worldwide, drum up more than 109 million Twitter followers and connect with 33 million Facebook fans. There’s no doubt about it, they are the biggest band on the planet. This autumn, the boys release their hugely anticipated fourth album – the aptly named, FOUR. 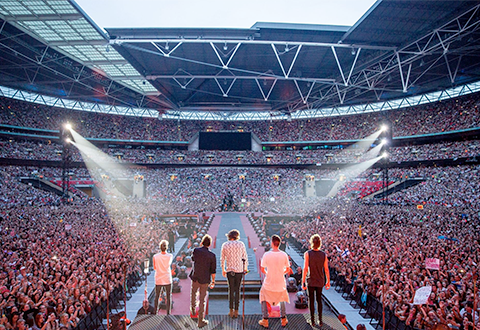 Perhaps one of the most hardworking groups in history, Niall Horan, Zayn Malik, Liam Payne, Harry Styles and Louis Tomlinson have spent most of the last 12 months recording all over the world – moving seamlessly between stadiums and recording studios. Each one of these songs has come together on the road, on tour buses and in hotel rooms. This opportunity is only open to residents of the UK. If you are not from the UK, you understand and agree you are not eligible for prizing. Artists must submit original remixes using some or all of the provided stems but can add their own music. Submitting artists must join Talenthouse using an active email address so if chosen they can be easily contacted. Submitting artists should retain the higher quality version of their remix which will be sent to Sony Music should they be selected. Artists must submit their remix via Talenthouse by pasting in their SoundCloud link. All rights in and to the stems are reserved by Sony Music. All rights in materials that are created by entrants using the stems are assigned to Sony Music. The entrants and selected artists will not be entitled to make their original songs and materials derived from or incorporating such stems available in any way (other than for the purpose of this Creative Invite and portfolio). No prize will be due or awarded unless and until the selected remixers have signed a remix agreement. Talenthouse reserves the right to disqualify artists who we believe are cheating the voting system as this is against the spirit of the Creative Invite. Inappropriate, offensive or harmful submissions will be removed. One Direction and their guest judges will select from all qualified submissions. A qualified submission is one which meets all the Terms & Conditions, Guidelines and Official Rules. Their selection will be independent of social votes. The Talenthouse community and supporters of entrants can vote on their favorite submissions during voting week via Facebook and Twitter. The artist with the largest public support will be chosen as the Highest Voted.